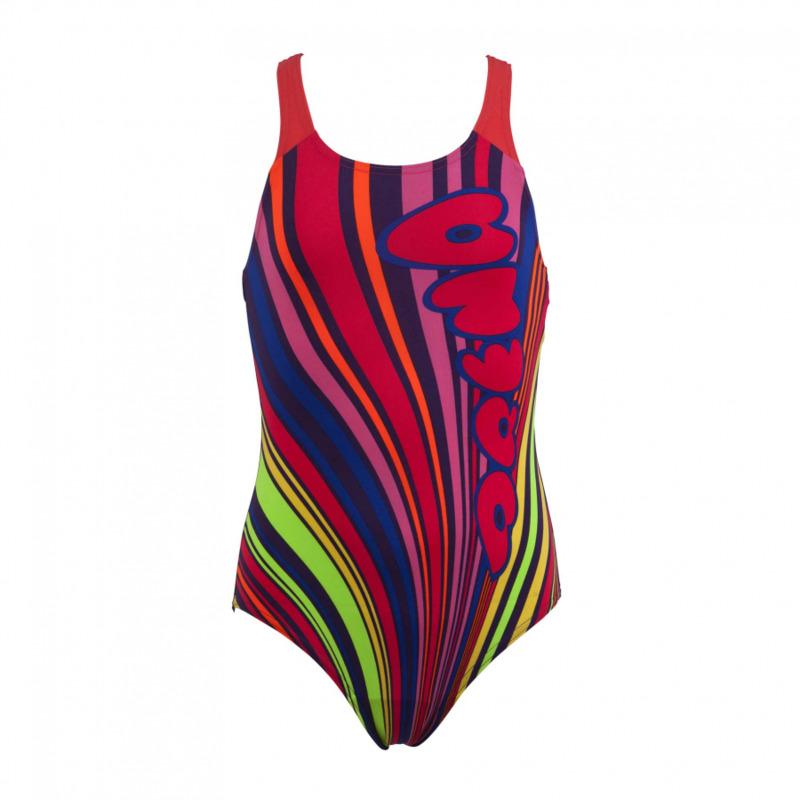 Arena junior girls one piece purple swim suit, with multicoloured front stripes and Arena lettering. Manufactured from Max Life material technology for long lasting comfort and performance. 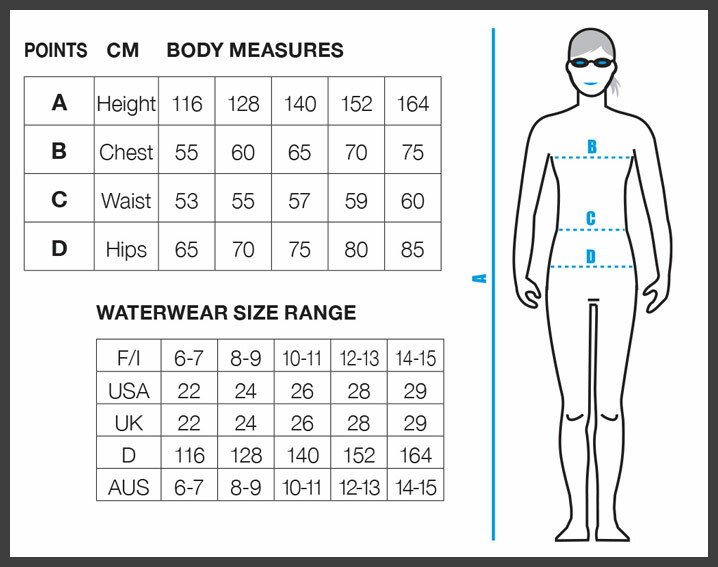 Fabric made of 545polyester and 46% PBT for extraordinary rsestance to chlorine and a perfect fit. 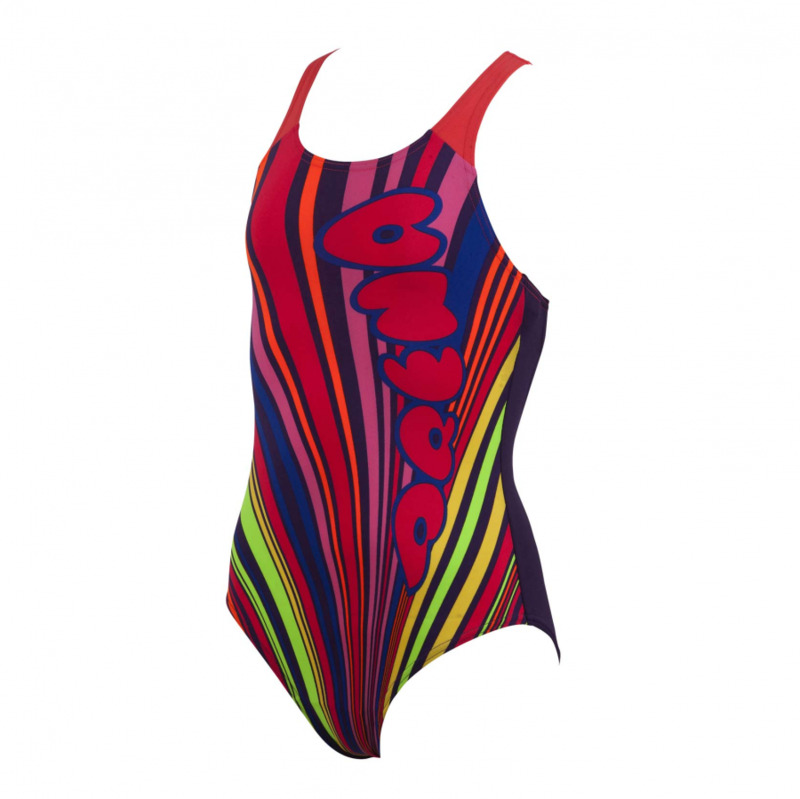 Sunlight resistant material make this costume ideal for sunny climates and indoor training. Pro back strap detailcomplete this attractive costume.